Congratulations on your new bike! We hope you’re enjoying it. To prolong your bike’s life and to help you make the most of your riding experience, here are a few preventative bike maintenance and safety tips. This, we believe, is a must-do: reading through your bike’s user manual. It might not seem like an important step but every bike and every manufacturer is different. Familiarizing yourself with the specifics of your new bike may come handy in both the near and the distant future. In your manual, for example, you can find the recommended PSI (Pounds per Square Inch – the common unit of measurement for tire pressure) for your bike tires. This can help greatly when you’re filling your tires. Your manual also includes information on the initial bike setup, which is important especially when setting up the battery for the first time. Keep your bike indoors or under cover whenever possible. Prolonged and repeated exposure to the elements such as direct sunlight (especially in the summer), rain, snow, or storms can decrease the life of the bike parts. Clean your bike as often as possible. While your cleaning schedule might depend on how often you ride your bike, for most people, once every two weeks is sufficient. o Clean thoroughly but gently. Avoid using a jet stream hose or aggressive water sprays, and instead use a soft cloth to remove dust and debris from the frame. o If you’re new to bikes, don’t have enough mechanical knowledge or experience, or don’t feel comfortable, avoid opening any parts that might be difficult to reseal or put back together. Clean gently from the outside. Caring for your electric bike is as easy as caring for a conventional bike. There are only a few battery do’s and don’ts you must know and you’re all set! Do keep your battery fully charged when not in use. Do charge your battery once every two months at least. Don’t leave your battery connected to electricity and charge for longer than 48 consecutive hours. Do check your tires for pressure and wear, and gears for dirt, as these might interfere with proper functioning. Problems with these parts might cause the battery to work harder. 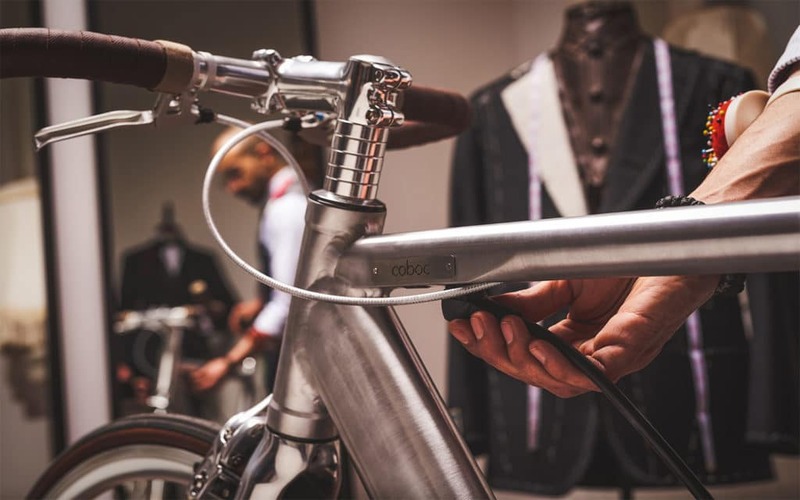 Do use a special e-bike lubricant to lubricate the chain, levers and cables. Refrain from using generic lubricants. If you notice that your battery isn’t working full force, try “rebooting” – use the battery until it is completely empty, and follow it by recharging it back to 100%. This can help reset the battery’s functionality. We highly recommend that you make all the points in the below list your habit. Check your tires for pressure. Also check the tires to spot any large debris or cracks. Take a look at the wheel spokes; make sure they aren’t loose. Check your brakes to see if they grip well, and that they grip the rims of the wheel, and not the tires. Do a quick checkup to make sure all cables and parts are connected, including toe straps if you’re using them. Did we miss something? Do you have any other recommendations regarding bike maintenance? Let us know by writing to us.